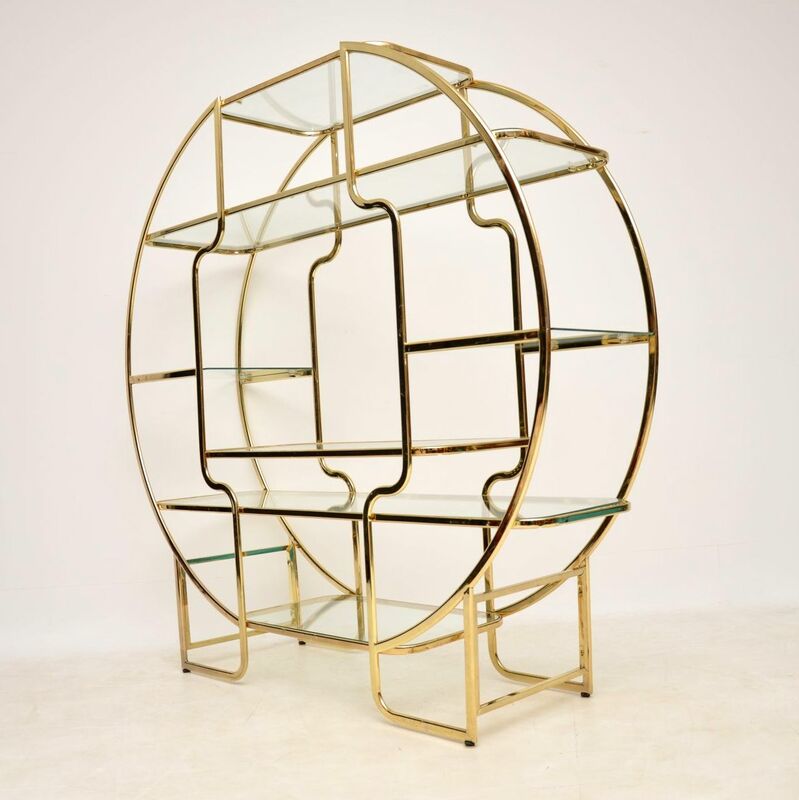 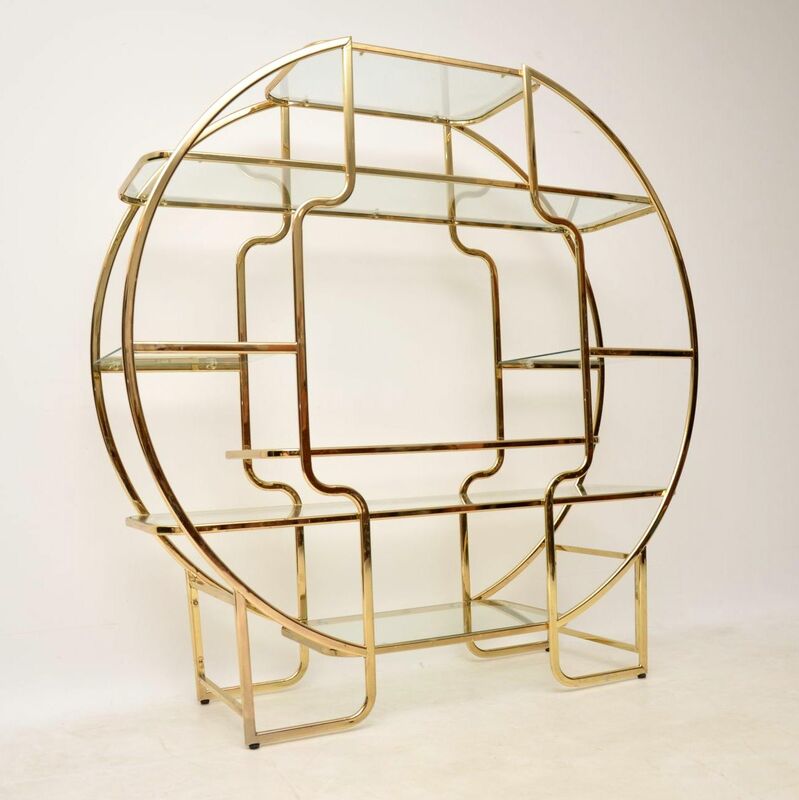 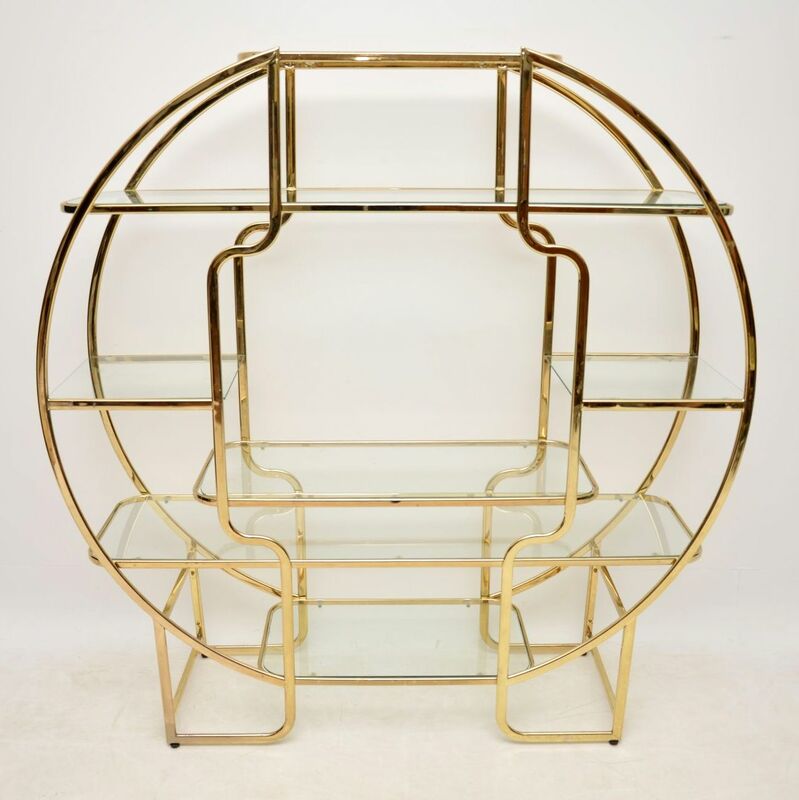 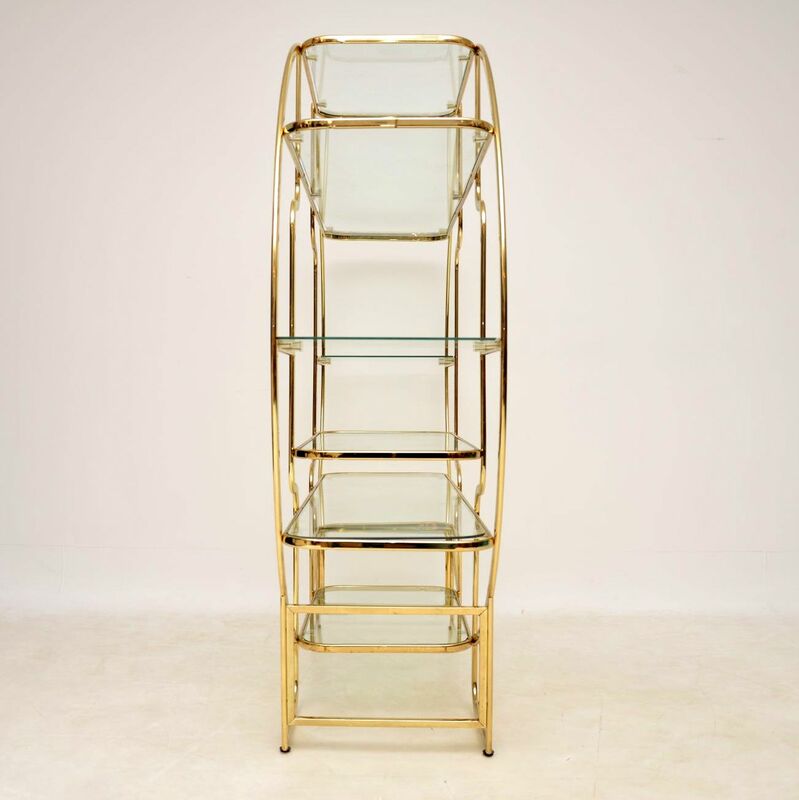 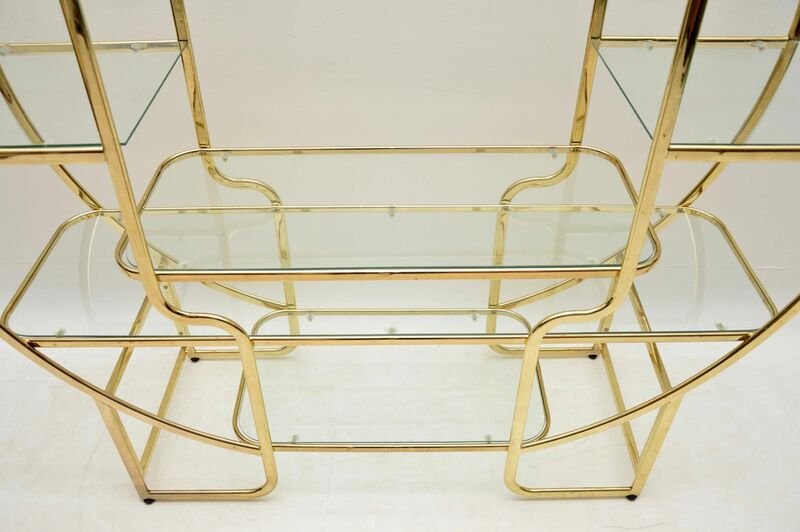 A stunning and very well made vintage display cabinet in brass with glass shelves, this was made in Italy and dates from the 1970’s. 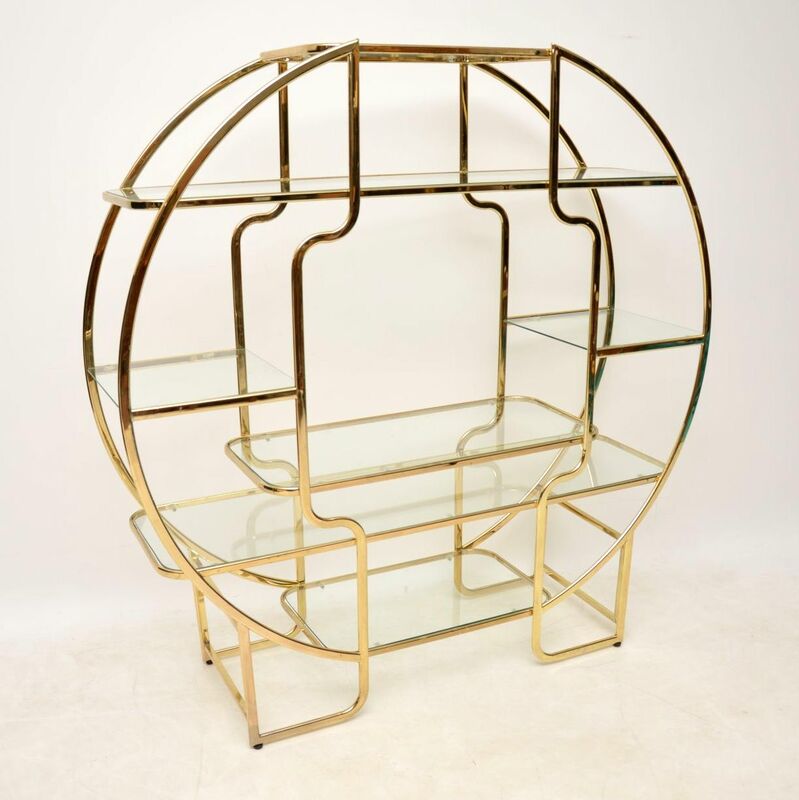 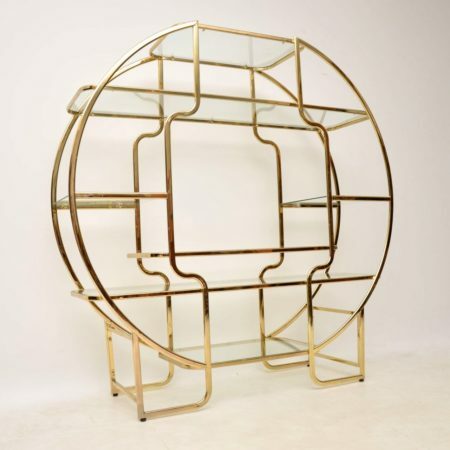 It has a beautiful circular design, is finished back and front so can be used as a free standing room divider. 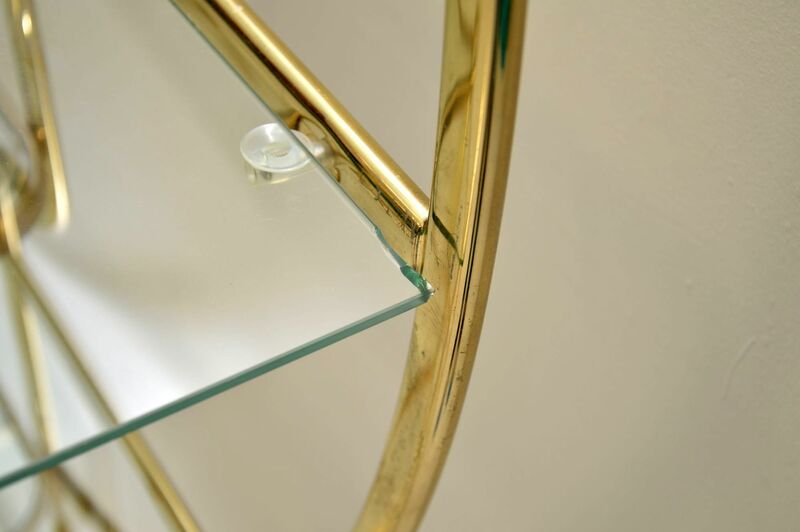 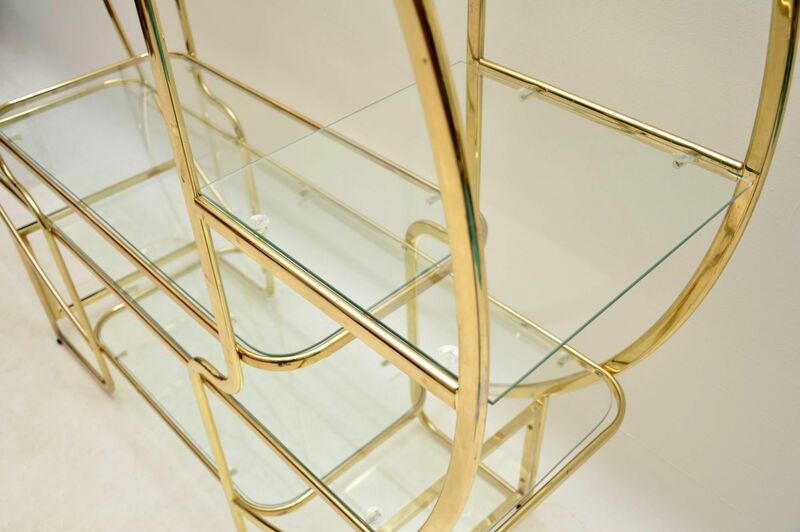 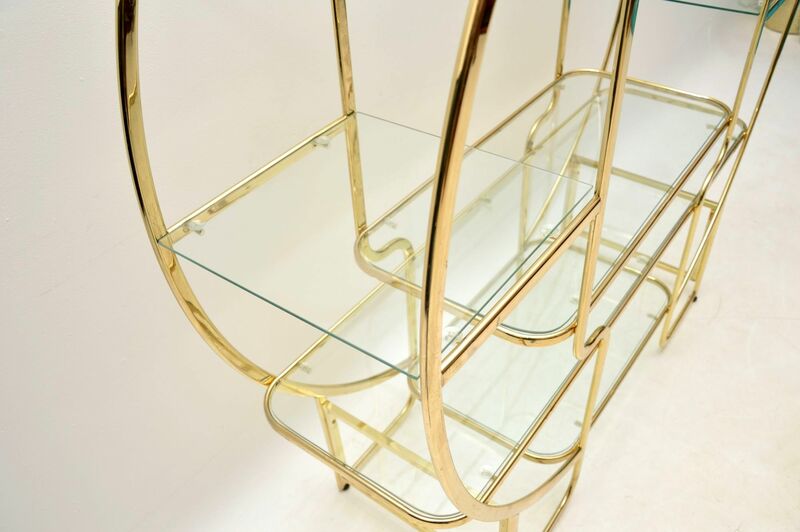 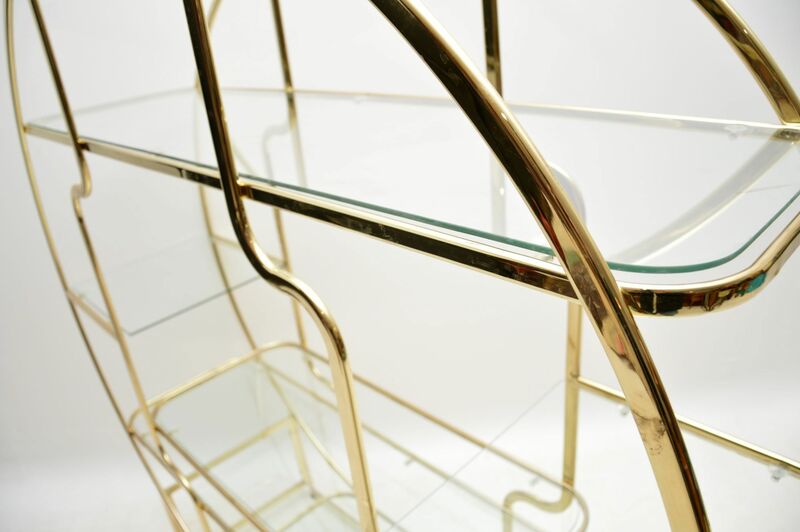 The brass frame is clean, sturdy and strong, with only some minor surface wear. 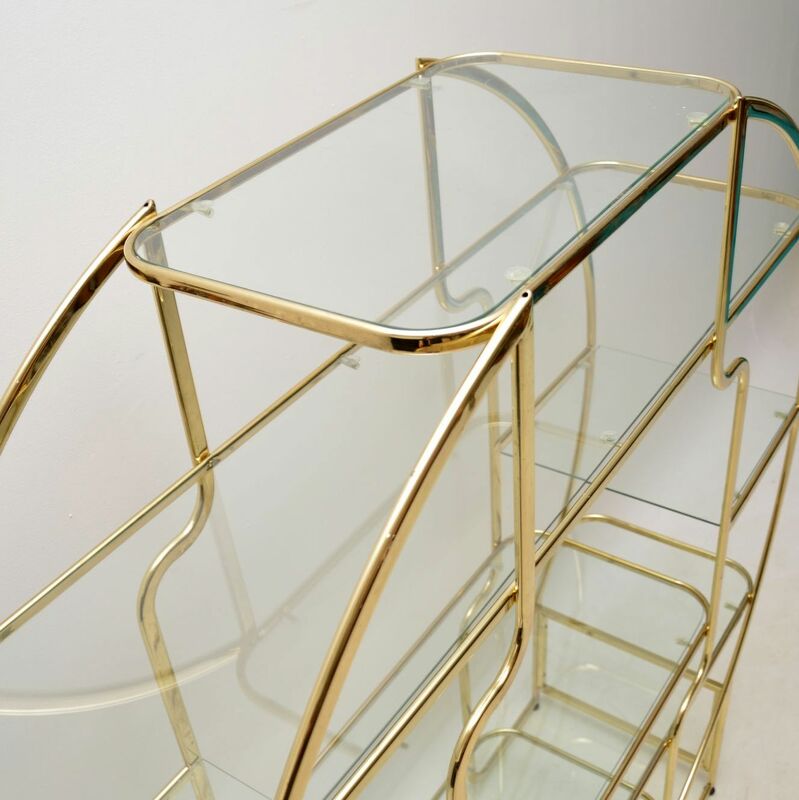 The clear glass shelves are mostly in great condition, two of the shelves have very small and shallow chips to the edges, not visible at all when the shelves are in place.